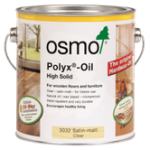 We are a supplier of Osmo Natural Wood Finishes. 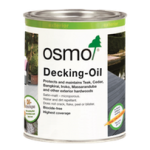 Due to their wide range of Osmo Natural Wood Finishes we have only included the most popular products in our website. 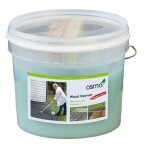 For more product information visit http://www.osmouk.com. There are new prices in place since February 2018, the current price list can be found here. 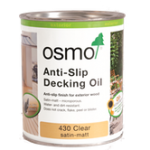 Osmo offers a natural and environmentally friendly alternative to wood finishing. 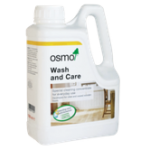 The products are based on rapidly renewable, natural vegetable oils that penetrate deeply into the wood, keeping it elastic and healthy, whilst preventing it from drying and becoming brittle. The wood is allowed to breathe which means it is naturally protected, moisture can evaporate whilst the surface is very water resistant, water tightly beads on the surface which can be simply wiped off – and for exterior wood the rain will evaporate naturally, meaning little or no maintenance is required. The natural treatment of wood is not only for protection, but the aesthetic point of view is essential. 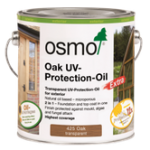 Osmo’s natural wood finishes offer a wide variety of interior and exterior products, it is possible to create an almost infinite variation of naturally occurring shades or bright, vivid colours. NEW: Osmo have recently created OSMO UK COMMUNITY GROUP on Facebook.